Convert Spotify Music 5X Faster Speed. Keep Zero Loss Quality and ID3 Tags. MP3, AAC, FLAC or WAV for Free! Output to MP3, AAC, FLAC, WAV Audios. Is it possible to extract MP3 files from Spotify music? Or is there any way to download Spotify music for enjoying on car player? Many Spotify users may face with such question. 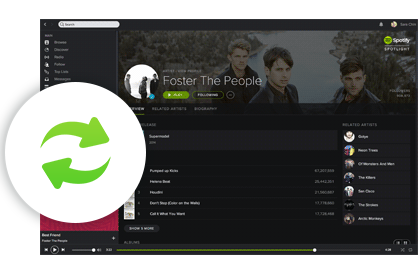 Here Spotify Music Converter helps you solve the above problems. It can remove DRM from Spotify song as well as playlist, thus to make it better to enjoying music on the go. Wanna save Apple Music songs to local computer or play it on your music player even after subscription? 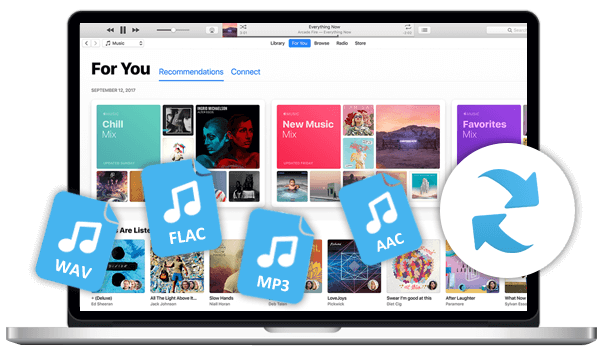 Apple Music does not have such option for you, but with Apple Music Converter, you could make it come true. 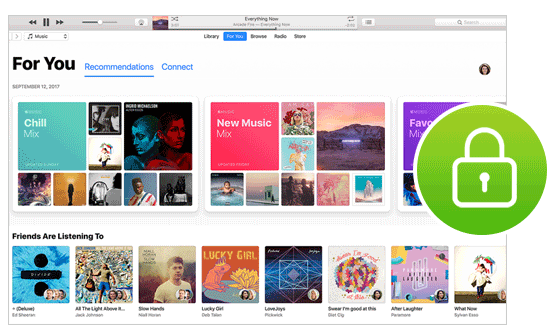 Sidify Apple Music Converter allows you removing DRM from Apple Music for free enjoyment. To unlock DRM from iTunes movies, we recommend DRM Media Converter, a reliable iTunes to MP4 converter. It is a good idea to enjoy streaming music in .mp3 file without Internet connection. Sidify knows you and makes it happen! 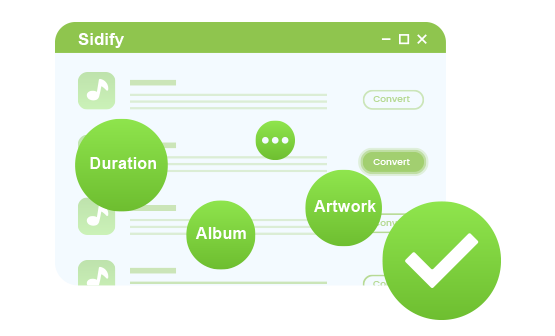 For Spotify subscriber, Spotify Music Converter allows you download Spotify song, playlist or podcast as MP3, AAC, FLAC or WAV, as well as burn Spotify music to CDs or share Spotify music to friends via Email. 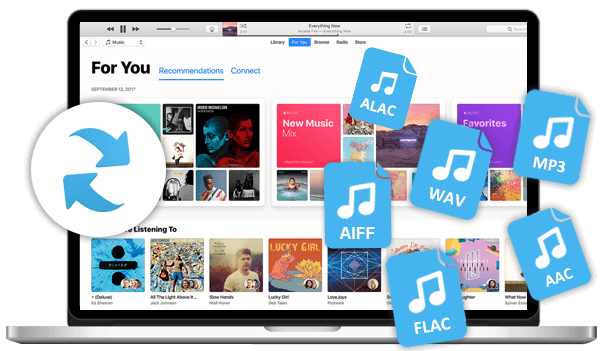 For Apple Music subscriber, you're able to download & convert Apple Music to MP3, AAC, FLAC or WAV with Sidify Apple Music Converter. Sidify retains the original quality of Apple Music and Spotify music, providing the excellent listening experience (up to 320kbps). 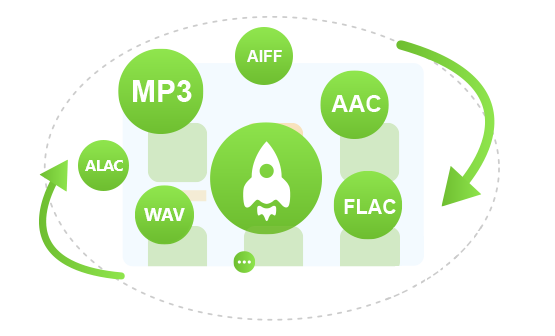 Thanks to the industry-leading ID3 tag identification technology, Sidify DRM Audio Converter can identify the input Apple Music or Spotify music files quickly and get music information automatically after conversion. 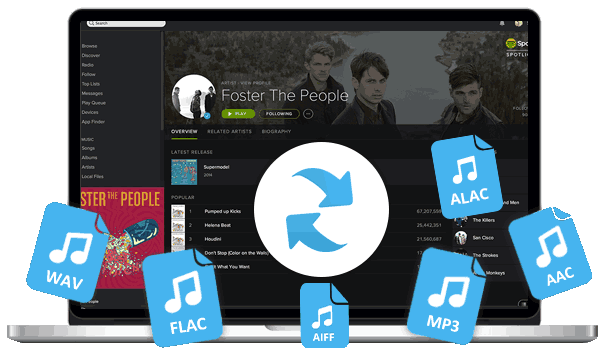 ID3 tags like Title, artwork, Artist, Album and Genre will be preserved. It is of great convenience for your organizing music library! 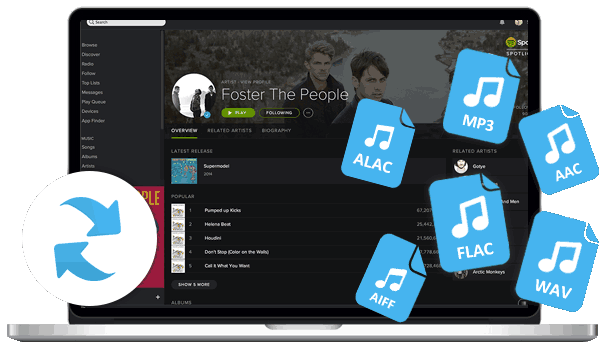 With an innovative DRM decrypting technique, Sidify enables maximum 20X speed when converting Spotify music as well as Apple Music to MP3, AAC, FLAC or WAV format. You can also adjust the conversion speed according to your requirement. Both Sidify Apple Music converter and Spotify music converter come with intuitive interface which make it possible for every user to use Sidify application handily. No extra hardware or virtual drive needed. We promise we will always update both Sidify Apple Music Converter and Spotify Music Converter to be compatible with the latest version of OS, iTunes and Spotify. You will not worry about compatible issue of Sidify with your latest computer OS, Spotify version or iTunes version. 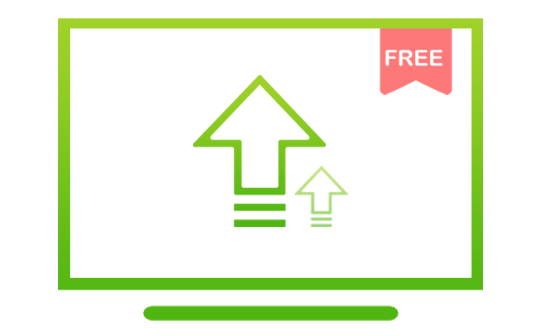 Once using the full version of Sidify, you can enjoy lifetime free updates and free technical support. It is ONE time fee! You don't have to sit and watch it and check off each individual song (like other programs) you can leave it running while you watch TV then come back and it's all done for you! The output MP3 is of HIGH quality!! The process from start to finish with sidify was great. The converter is so easy to use and they are great to deal with. I would suggest this to everyone. Great product congrats guys.